GCC spec 2015 BMW with Fog lights, 18″ wheels and Leather seats. Price reduced! Almost new BMW for AED 252,000 with beige interior and 18″ wheels, includes features such as Parking sensor front and CD player. GCC spec BMW X5, white SUV/Crossover with beige interior. It features navigation system, 18 inch wheels and sunroof. Price: AED 134,000. Automatic BMW X5 with 19 inch wheels, parking assist, rear wheel drive, brown interior, white exterior. Brown SUV/Crossover with brown inside. It has adaptive lighting and sunroof and has 17 inch wheels. BMW X5 with many features, including leather seats, climate control, CD player. Black with brown interior. Grey/Silver SUV/Crossover with tan inside. It has air conditioning and power windows and has 20 inch wheels. 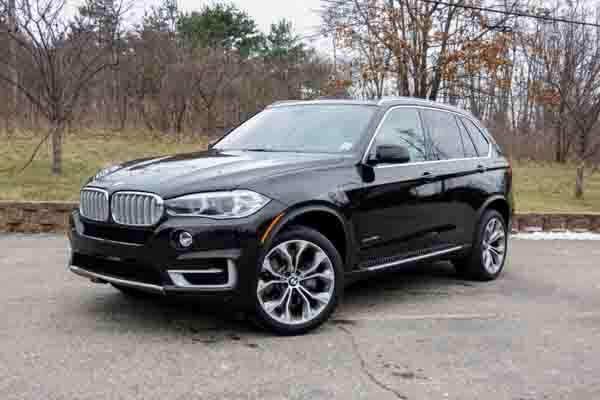 This is a black SUV/Crossover with brown inside and tuner/radio, parking sensor front and 19″ wheels. GCC spec X5 from 2018 with a 8 cylinder engine. White SUV/Crossover with brown interior. It has cruise control and power windows. Automatic 2012 BMW X5 with 19 inch wheels, rear camera, spoiler, black interior, black exterior. Imported spec. 2009 BMW X5 with power locks, CD player, tuner/radio. It has black interior and is White. 2010 BMW X5 with Cruise control, 20″ wheels and Tuner/radio. Price reduced! Opportunity! A 2011 white BMW X5 X DRIVE 35i 2011 M KIT now available at a reduced price. 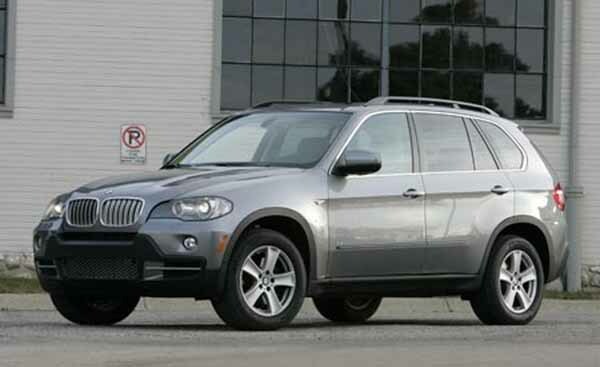 2010 BMW X5 with CD player, 20″ wheels and USB. Price reduced! Imported spec BMW X5 with Air conditioning, 19″ wheels and Alarm. Price reduced! White 2008 SUV/Crossover. Black interior. It features keyless go, 20 inch wheels and right hand drive. GCC spec BMW X5, black SUV/Crossover with tan interior. It features rear camera, 18 inch wheels and LED headlights. Price: AED 152,000. 8 cylinder gold 2018 SUV/Crossover. Brown interior. ABS, 18 inch wheels and CD player. GCC spec BMW with CD player, 18″ wheels and Air conditioning. Price reduced! Kamal - Got a second hand 2005 X5 as a spare car to drive around on the weekend, it looks good and has plenty of power, but I can only use the power on the road, not off road. Pros: Strong engine in V8 trim and excellent options for living in Dubai. Yousef - My 2013 BMW X5 5.0i is a fantastic car with all the right options and even has good fuel economy compared to previous generations. Lots of space inside and the A/C is fantastic for this climate. Pros: Powerful A/C, lots of space and range of options. Cons: Top trim level carries a high price. Taher - Buy a pre owned 2008 BMW X5 3.5i if you want a powerful car with seven seats filled with options that you don’t know what to do with. Only good on road, though, off-road capabilities are not good. Pros: Spacious even with a third row. Cons: Burns fuel quickly in V8 trim. With two choices of engine; V6 for those that want just to move from point A to point B and the V8 for those you want more power, speed and sound. And if it still isn’t enough you can get your hands on an M version with a higher output. IIn top trim, there’s a lot on offer regarding options. Later models with their extended wheelbase offer a lot of space inside and can even accommodate a third row of seats. Comfortable interior including the front row. As soon as you sit down, they wrap around you and keep cosy throughout the entire journey. Be warned it maybe be hard to get out. Equipped with some of the best safety equipment found in any vehicle, you can guarantee that if anything were to happen while driving all occupants are safe. 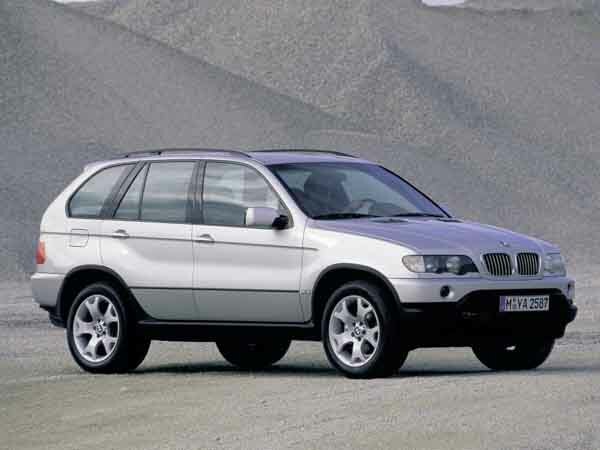 BMW X5’s debuted in 1999 as a 2000 model and was the German manufacturer's first venture into the lucrative market. Although it’s said to be an off-road capable vehicle, it’s more of a luxury SUV instead which comes with a variety of engines including 2.5 diesel, 3.0 si, 4.8 iS amongst many others. Since its inception around the world and in the UAE, it’s proved popular with those looking for cars capable of hauling cargo, carry five people and pack a punch which is exactly what the X5 ha, whether it’s the import or export market, consumers keep buying them Rivals on the road include the Range Rover Sport, Mercedes-Benz ML Class and the Audi Q7. Traversing its way into the GCC market, top of the range models have leather upholstery, auto-load levelling suspension, xenon headlights and parking sensors. Base models can have these as well as optional extras. Other optional extras for all models included navigation, sunroof and heated seats. Three engines are available; 3.0i inline 6, 4.4i and 4.8i V8. Six-cylinder models sent power to all four wheels via a 6-speed manual or 5-speed automatic gearbox whereas the V8’s only came with the automatic transmission. Back due to popular demand, the overall design was changed and given a more fluid look; it’s also wider, longer and taller than before. With the enhanced underpinnings a more spacious cabin was formed. Standard options returned for another few years along with extras such as 18-inch to 21-inch rims, power front seats, cargo nets, and a tyre-pressure sensor. During this time, an optional third row was made available directly from the dealer. The 4.4i engine was dropped leaving one V8 and inline 6-cylinder to power the German SUV. Drive is sent to either all four wheels with some regions having the option to equip a rear-wheel drivetrain instead. The manual transmission was dropped too. Now available in a few models including; xDrive 35i and xDrive 50i, a light touch up was given to the luxury SUV as were a few standard features and optional extras. 18 to 20-inch rims are fitted to each corner, panoramic moonroof, media inputs, heads-up display, keyless entry and roof rails. Newer options to be added is the rear entertainment package, active cruise control, lane departure assist, top view camera and high-grade leather. An M kit is available; that adds 20-inch rails, aluminium roof rails, adaptive drive system and M logo’s scattered all over. Still proving to be a hit in the region, once again the X5 was stretched out, widened and had its wheelbase extended. Small changes were made to the body and the cabin where all features are retained including the optional ones. A fair few new ones join the list; smartphone integrations, side mounted cameras, front camera and full LED headlights. Lighter components were used in constructed during these years resulting in a higher top speed and better fuel economy. As before, two engine options are on offer an inline six-cylinder 3.0L and a V8 4.4L. Both have increased output ratings in this generation thanks to some careful tuning to the Twin Power Turbo system. 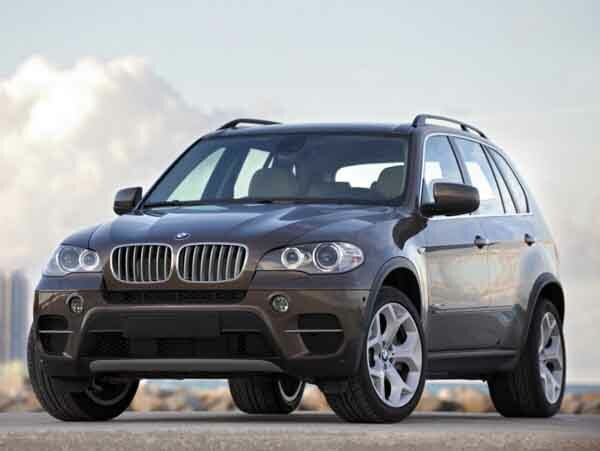 Planning to buy used BMW X5 for sale in Dubai? Pre owned prices start at just AED 8,500!